On the Court is a scene of five boys fighting frantically to hold on to a basket ball,Â their arms are moving in every direction as they struggle to gain possession of the ball Behind them, standing gray against the Viridian blue sky, are the houses of the neighborhood… their homes. In an upstairs window a woman, perhaps one of their mothers, looks out over her neighbors. Out another window a woman shakes a dirty rug, and right in front of her a young boy rides his bike along the sidewalk. 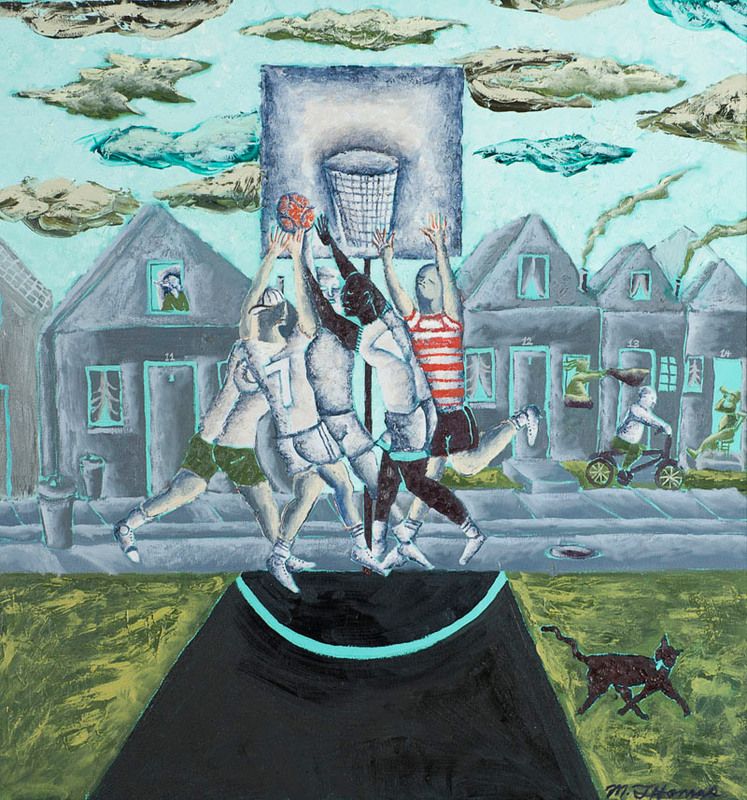 In this painting I wanted to display the struggle that takes place between each figure and paint the energy I have felt watching kids playing out on the ball court in my Whitehall neighborhood. As with most of my work, “On the Court” looks for the beauty in everyday life.